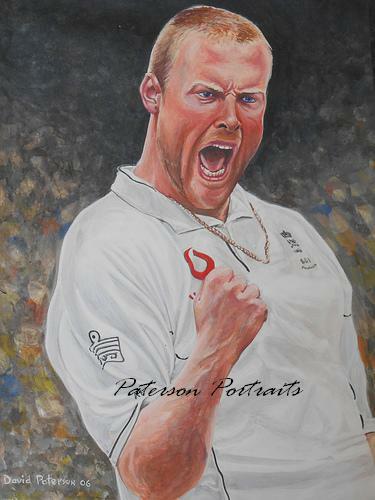 England cricketer Andrew Flintoff, was the outstanding team member in what can be described as the best Ashes Series ever, with Englands 2005 victory over Australia. 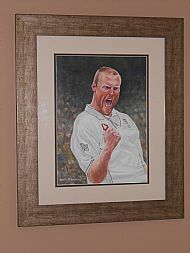 David, not being a cricket fan, was captivated by this series and inspired to paint three portraits of the 2005 England team. This Acrylic Portrait comes mounted and framed.